Pray on the 10th day of every month throughout 2019. Pray for a minimum of 10 minutes. Pray over the 10 prayer requests that will be distributed and updated each month and will reflect the current needs on the field. Prayer request inserts will be in the bulletin on the first Sunday of each month. You can also pick up a copy at the Welcome Center. 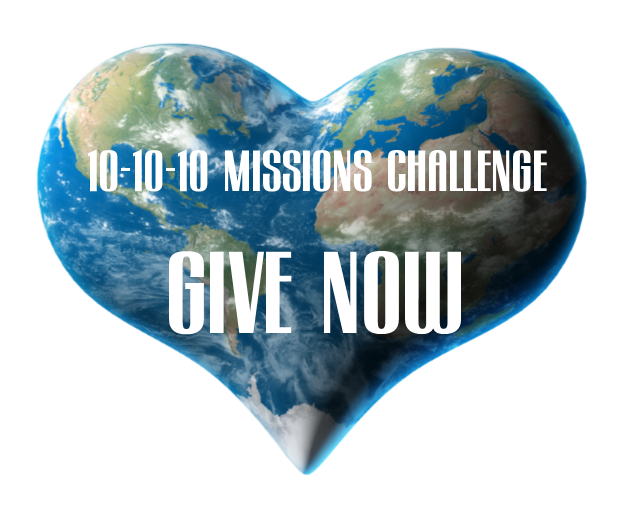 Consider giving at least 10 dollars to the 10-10-10 mission fund on a monthly basis through 2019. Consider fasting one meal the day you pray and use that money to give to the 10-10-10 fund.